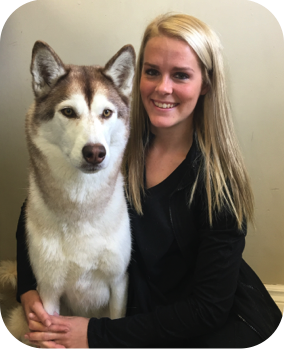 Joslin joined the Stirling Veterinary team in Aug 2011 with a primary role of veterinary and client assistant. She is well suited to the position since she enjoys interacting with people and animals. Joslin graduated from St.Lawrence College as a Veterinary Assistant in June 2011. Her interests outside of work include photography, walking and ATV trail rides. At home Joslin enjoys spending time with her fiance Matt, dog Shelby and sassy cat Class.